So when you want a list of UFC events, then everything you need is right here at the MMAGateway, and today I’m going to tell you about the upcoming UFC 217: Bisping vs St-Pierre card which is coming up on Saturday 4th November at the famous Madison Square Gardens in New York City. Not only will i give a comprehensive breakdown of the fights, I will also give you all the ticket information you need so yu can attend this historic event if you desire. If this is your first UFC event then this will be an amazing first UFC card to attend, and when it comes to live events you really cant get any better then UFC in my opinion. So It’s Michael “The Count” Bisping vs Georges “Rush” St. Pierre in the main event and personally I am so excited to see GSP back in the octagon after a long 4 year break from the sport, but GSP fans knew that one day he would return, so here we are. Michael “The Count” Bisping vs Georges “Rush” St.Pierre – ok this is one that me and any true MMA fan is a huge fan of, reason being because it is the long awaited return of former Welterweight champion Georges “Rush” St. Pierre, which is top level excitement by itself. The Canadian superstar has been out of action for the past 4 years due to taking a prolonged break from the sport after his final controversial title defence win against Johny Hendricks. Many MMA fans consider St-Pierre to be the best MMA fighter of this generation, so this fight is worth the pay per view cost alone. But current UFC Middleweight champion Michael Bisping will be no easy fight for St-Pierre in his first fight back, because Bisping has spent his entire career fighting at Middleweight and even Light Heavyweight his entire career, while St-Pierre has spent his whole career at Welterweight, so St-Pierre will likely be the smaller man in the cage come fight night, and this bout will be contested at Middleweight.But I feel that while ring rust could be a factor for St-Pierre and if it is then Bisping will possibly pick St-Pierre apart on the feet. But St. Pierre should still have a superior Wrestling advantage, and sometimes taking a break from the sport can be good for a fighter, so I think St-Pierre can win a decision basically by “lay and pray” to become the new Middleweight Champion. Personally I feel that Dillashaw should have the advantage in all areas of MMA as he is a more complete fighter from my perspective, but the X-factor, the one thing that Garbrandt has in his favour is his nuclear bomb like power that he has in his hands. Garbrandt has the ability to knock anyone out at 135 with his ferocious one punch KO ability and solid boxing fundamentals, but I feel that Dillashaw will be too smart for that in this fight, having trained with Garbrandt for years before their rivalry emerged, so if I was a betting man I would actually go with Dillashaw to win a close fight by decision. Stephen “Wonderboy” Thompson vs Jorge “Gamebred” Masvidal – Now this is another amazing fight on this card, which definitely gets the juices flowing for MMA fans. Both men are veterans of the sport at this point, as both men have had many MMA fights and fights way before starting MMA, or street fights if your Masvidal.This fight has a real clean cut good guy vs rugged street thug feel to it -Thompson being the “clean cut” one, is probably one of the nicest and most respectful guys in MMA, which is in contrast to Masvidal who has had various beefs with fighters in his career, and he has always had a heavy street vibe about him on top of his famous street fights on youtube which I suggest you watch if you haven’t seen them before, because Masvidal just like his nickname implies is a natural fighter, fighting is no big deal to him and he has to be one of the slickest fighters in MMA in and out of the cage. Wonderboy has some of the best Kickboxing skills in MMA, but Masvidal has some of the best boxing skills in MMA, so just as a striking contest this will be fascinating. But because this is an MMA fight and despite Thompson having more championship fight experience, Masvidal has more overall fight experience, and I feel his game is more varied because Masvidal should have a considerable advantage in the wrestling and grappling department both defensively and attacking wise.So my pick for this fight is actually Masividal to find a way inside past Thompson’s menagerie of kicks, then I expect Masvidal will hurt Thompson in the pocket with a boxing combination, and once it hits the ground I expect that Masvidal should be able to get a stoppage via ground and pound, or potentially a submission finish with his top class killer instinct. Definitely a potential for fight of the night here, so make sure you don’t miss this fight! Then ontop of these amazing fights we also have: Johny Hendricks vs. Paulo Henrique Costa, Aiemann Zahabi vs. Ricardo Lucas Ramos, Patrick Cummins vs Corey Anderson, Alexey Oleynik vs Curtis Blaydes, Gadzhimurad Antigulov vs Ion Cutelaba and a few more fights to be announced! So whats the ticket costs? So by now your probably saying ok Marley I’ve read enough now just tell me – how much are the ticket prices for this event? Well as I always point out to my regular readers, every UFC event has its own pricing structure, which is dependant upon the venue, the amount of star fighters on the card and how close you want to sit to ring side. But being as this event is being held in Madison Square Gardens in NYC (which is one of the most historic and most expensive sporting venues in the world) then the ticket prices will be ranging from $547 -$6,650. If you want to look at all the seating plans so you can get the best position for the event then you can go to my favourite ticket booking website. I want to be a part of it – New York, New York! 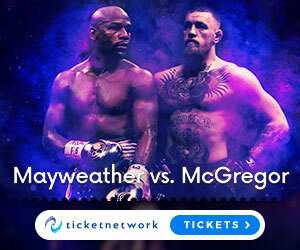 So you know who’s fighting, you know what I think about the fights, and you have all the ticket information costs that you need, so at this point you probably feel like Frank Sinatra and you want to be a part of it New York New York! The excitement for this UFC 217 event really is off the charts, because seeing a legend like GSP back in action is something that no MMA fan can afford to miss. So if you have heard enough now and your ready to book your ticket to see the historic return of GSP and all the other great fighters in action at UFC 217 live at Madison Square Garden on Saturday November 4th, then you can make your order right Here. I hope you enjoyed this post and if you have any questions make sure you leave some below and I will get back to you asap. Stay tuned for more event information for all the best MMA shows around the world right here at the MMAGateway.